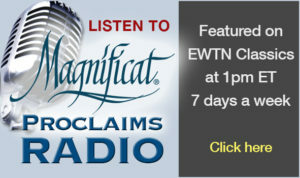 Magnificat Proclaims testimonies are aired on EWTN World Wide Radio daily at 1PM Eastern Time on EWTN Classics. 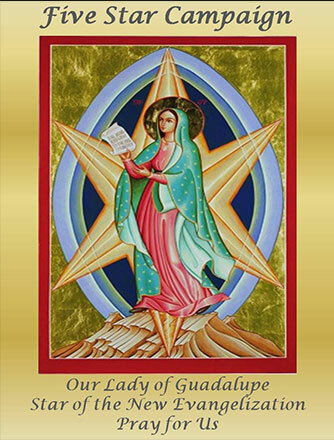 We provide a monthly schedule for Magnificat testimonies on this website page. Please click on the link below to access the EWTN Radio Broadcast Schedule of Magnificat Proclaims for the current month. Please click on the link below for the February 2019 Magnificat Schedule on EWTN.